Docs.com is in its beta stage for now and like every other beta software or app, it has a few bugs, but they’ll work them out in the coming days. 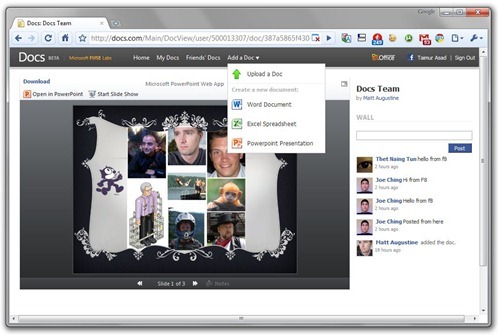 Within Docs.com you can create Word documents, Excel spreadsheet and a PowerPoint presentation. The project is a part of the new Microsoft Fuse Labs, and you can head over to Docs.com to try it out yourself. Cloud Wars: Microsoft Office Web Apps or Google Docs?